We offer these links below as a resource only. Information contained on other web sites, with direct links from this web site, are not necessarly the opinion of the Boston Terrier Club of America, Inc. or the Webmaster. The BTCA does not endorse any dogs/puppies offered for sale on these sites. 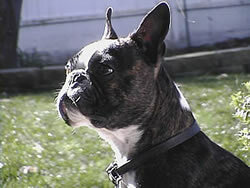 Remember,if you looking for a Boston Terrier as a member of the family, this is serious business. Its one of the few times in your life you will be able to choose a member of your own family. 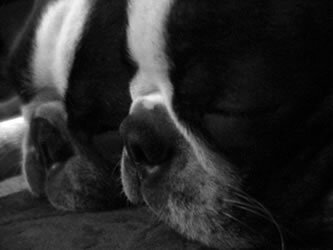 You must take the time to search for the right Boston Terrier and the right breeder. Prospective puppy buyers may use our breeder referral searcher to find a breeder near you. The due date for payment of members' links is July 1 of each year, with a 90-day grace period (the same as for membership dues). If payment is not received by September 30, your link will be automatically deleted from the BTCA website. The fee covers the period of October 1 to September 30 of the following year and is not prorated. PAY NOW using our online shopping cart system. BTCA members, please contact the Webmaster to have your website link added.